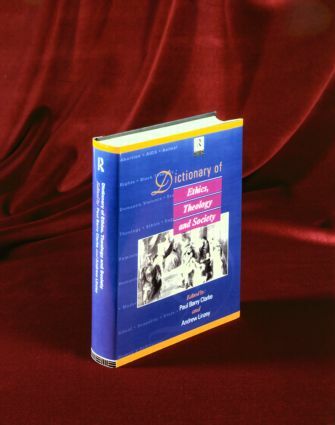 This Dictionary provides a unique and groundbreaking survey of both the historical and contemporary interrelations between ethics, theology and society. In over 250 separately-authored entries, a selection of the world's leading scholars from many disciplines and many denominations present their own views on a wide range of topics. The entire field is prefaced by an editorial introduction outlining its scope and diversity. Paul Barry Clarke researches and lectures in political philosophy and political theory in the Department of Government, University of Essex. He is currently exploring the political, theological and social relationships between autonomy and citizenship. He is the author of numerous books including the Autonomy of Politics (Gower, 1988) and Citizenship (Pluto Press, 1994). Professor Andrew Linzey is IFAW Senior Research Fellow in theology and animal rights at Mansfield College, University of Oxford. Past collaborations between the two editors include: Research on Embryos: Politics, Theology and the Law (London, 1988), Theology, the University and the Modern World (L.C.A.P., 1988) and Political Theory and Animal Rights (Pluto Press, 1990).